A UN group of human rights experts has found that the detention of Vietnamese blogger and human rights defender Le Quoc Quan stands in violation of his right to freedom of expression and a fair trial. 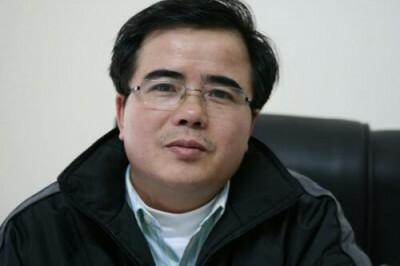 Le Quoc Quan was arrested in December 2012 on trumped-up charges of tax evasion, which were aimed at preventing him from carrying out his legitimate human rights work. Following his arrest, he was held incommunicado and denied permission to see his lawyer for two months. He was also unable to see any of his family members until the day of his trial. In October of this year, Quan was convicted and sentenced to 30 months imprisonment and a fine of 1.2 billion dong (approximately USD 59,000). Quan appealed this decision, but a trial date has not yet been set. Given Mr. Quan’s history as a human rights defender and blogger, the real purpose of the detention and prosecution might eventually be to punish him for exercising his rights under article 19 of the International Covenant on Civil and Political Rights and to deter others from doing so. The Working Group called for Mr Quan’s immediate release and also recommended that he be paid damages for his arbitrary detention. The group’s decision follows a petition filed in March 2013 by the Media Legal Defence Initiative and a coalition of human rights NGOs. Mr Quan has long been persecuted by the Vietnamese government for his activities as a blogger and human rights defender. He has been detained several times, kept under state surveillance and also suffered physical attacks. The UN Working Group’s decision is clear confirmation that Le Quoc Quan’s detention for having merely exercised his rights to freedom expression, freedom of association and his rights as a human rights defender is unjustified and illegitimate. With international pressure on Vietnam mounting, calling for Quan’s release, rights advocates hope that the government of Vietnam will remedy the situation as soon as possible.